In 1931, Karl Jansky was hired by AT&T to search for sources of static that might interfere with radio waves for transatlantic communications. Jansky identified static from thunderstorms and random radio noise from devices on Earth, but he also found a radio hiss from the Milky Way galaxy. After World War II, astronomers constructed more radio telescopes with greater sensitivity to faint radio signals from space. In the 1970s, the National Radio Astronomy Observatory built the Very Large Array (VLA) radio telescope, on the plains of San Agustin, New Mexico. The VLA is well equipped to hunt for strange objects and solve astronomical mysteries. The VLA receives radio signals from outer space. Most are so faint, a blastingly strong signal would be a cell phone ringing on the moon, 238,900 miles away from Earth. The VLA has shown ice on the burning-hot planet of Mercury, has discovered a burst of brand-new star formations, and has probed dying and exploding stars. 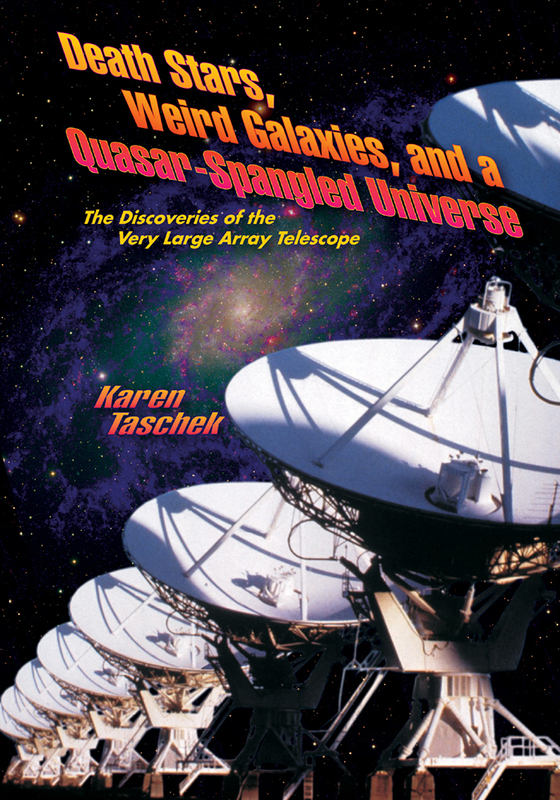 Karen Taschek introduces young readers to the wonders revealed by the VLA. She begins with basic information on our solar system and our own Milky Way galaxy and then extends the discussion to galaxies billions of light-years from Earth.